Info Whether in the U.S. Capitol or on his farm near Big Sandy, Montana, Sen. Jon Tester isn't afraid to roll up his sleeves to get work done. Tester and his wife, Sharla, farm the same land his grandparents homesteaded nearly 100 years ago. He was elected to the U.S. Senate on Nov. 7, 2006, after a long history of public service in the Big Sky State. He served as chair of the Big Sandy School Board and on his local Soil Conservation Service Committee before running for the Montana Senate in 1997. Tester served two four-year terms in the Montana Legislature, quickly gaining the respect of his colleagues on both sides of the aisle and rising to leadership roles soon after being elected. In 2005, he was chosen to serve as the President of the Montana Senate. He credits his leadership success to the values he learned growing up on the farm--hard work, straight talk, honesty and integrity. Under Tester's leadership, the Montana Legislature improved funding for public education and cut taxes for thousands of small businesses. Tester also led the fight to implement a statewide Country of Origin Labeling (COOL) program. He sponsored legislation requiring all public utilities to gradually use more renewable energy, and he carried a bill giving tax credits to companies that generate wind power in Montana. 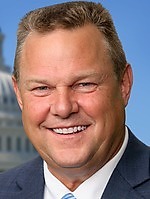 Tester also fought to make employee health insurance affordable for small businesses. Tester was born in Havre, Montana, on August 21, 1956. He graduated from the College of Great Falls in 1978 with a Bachelor of Science in music. In addition to farming and running a custom butcher shop behind the barn, Tester also worked as a music teacher for Big Sandy Public Schools. The Testers now grow organic wheat, barley, lentils, peas, millet, buckwheat and alfalfa. They plan to come home to Montana as often as possible to hear from Montanans, take care of chores and visit their children and grandchildren.